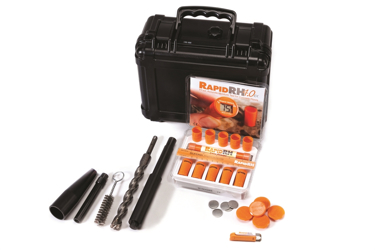 The Wagner Rapid RH® 4.0 EX System offers fast, accurate, lowest cost relative humidity (RH) testing for concrete floors, in compliance with ASTM F2170-11. The 5 Smart Sensors Package is perfect for the occasional Wagner user. The Wagner Rapid RH® 4.0 EX equilibrates faster than any other concrete relative humidity sensing equipment. 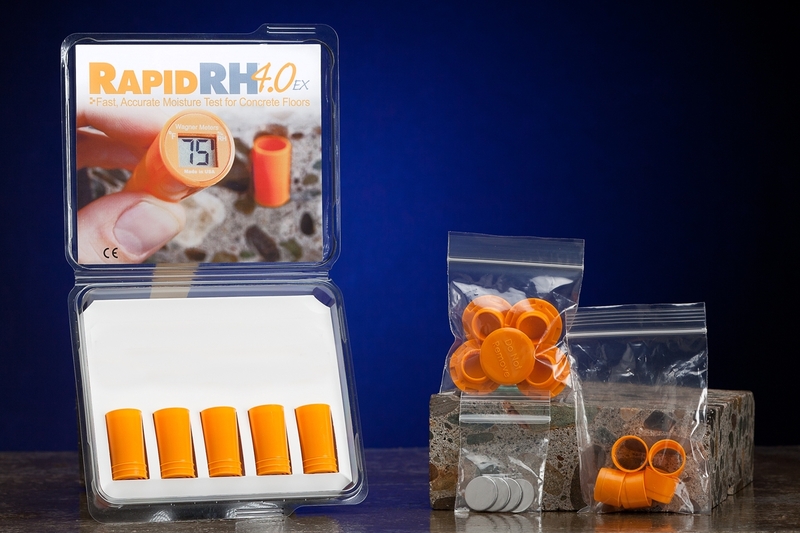 The Wagner Rapid RH® 4.0 EX Smart Sensor will usually be within 3% of the final reading one hour after installation. For full compliance with ASTM F2170-11, remember to recheck readings at 72 hours. 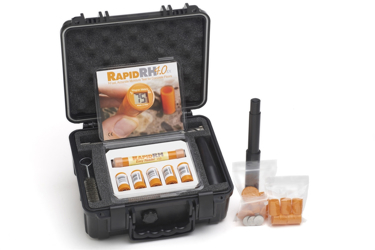 The Rapid RH® 4.0 EX uses Wagner's patented Touch-n-SenseTM Technology. 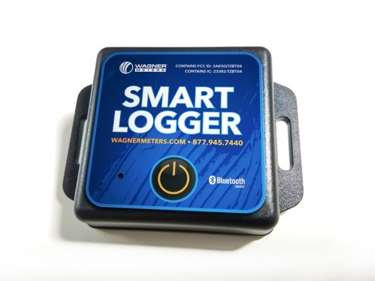 Insert Wagner Rapid RH® Smart Sensors into your test holes, and any time after one hour, simply insert the Wagner Easy Reader into any hole that has a sensor. 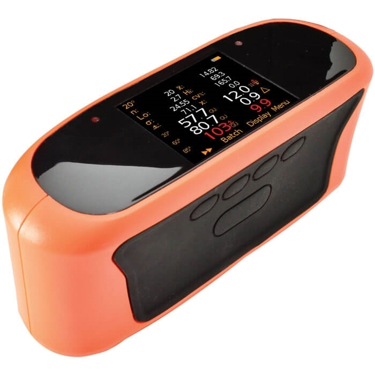 The two will communicate on contact, transfering the RH reading to the Easy Reader. The reading will continue to display for up to 5 minutes, simplifying the task of recording readings at a job site. 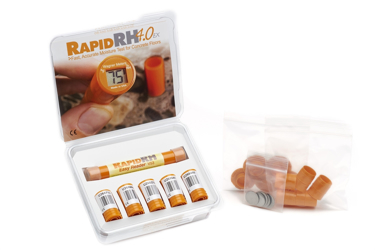 Wagner Rapid RH® 4.0 EX Smart Sensors are designed for a single use, and unlike reusable sensors, they incorporate the sleeve and sensor into a single unit. The sensor is not moved in and out of holes or unnecessarily handled, and is always newly calibrated for every job. 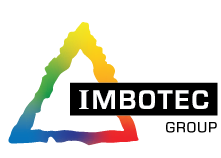 All sensors are NIST traceable, with no need for calibration between jobs. 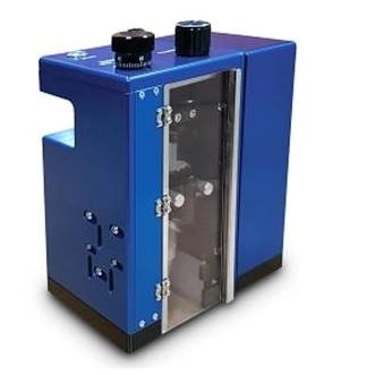 The Wagner Rapid RH® 4.0 EX system eliminates the headaches and time-consuming task of testing your re-useable sensors before and after each job. No need to calibrate sensors - ever!